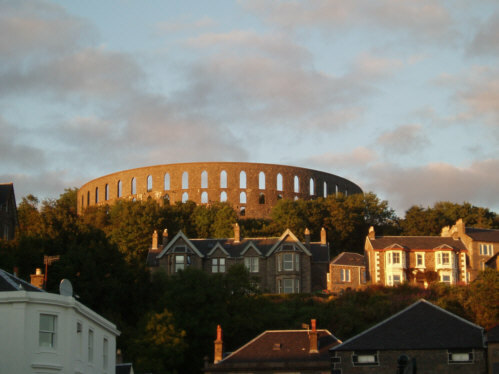 This is a picture of McCaig's Folly which towers over Oban in Scotland. The folly was built over a three year period starting in 1897 by John Stewart McCaig an Oban banker of considerable wealth as the cost of the folly was in the region of �5000 (UK pounds). Ultimately a pointless (and unfinished) memorial to himself, the original plan was for a museum to be housed in the structure along with a central tower.